Canberra Academy of Dramatic Art (RTO 40859) is the ACT’s only institution offering accredited actor training programs from Certificate IV to Advanced Diploma level. Our mission is to build a generation of performers through a sense of a self story.Self, because we believe in building confidence and skills which contribute to the whole person. Story, because all performers are story-tellers — and by telling stories, they become culture-makers and culture-changers. Students can study at our national centre in Canberra, or train with one of our partners — Palm Tree Studios in NSW, Drama Works Performing Arts Academy in Queensland, or Theatre Blacks in Melbourne. CADA is an award-winning organisation, having won the Canberra Business Point awards in 2011 and 2012, and its director, Elizabeth Avery Scott, being a finalist in the Telstra Businesswoman’s Awards in 2013. Our trainers are actors, directors, writers, producers, singers and dancers all active in the industry. For trainers in any given semester, please see our website. 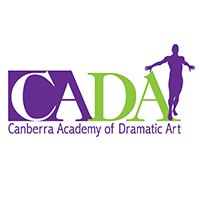 Contact Canberra Academy of Dramatic Art NOW! At Canberra Academy of Dramatic Art you’ll enjoy lots of benefits, like world class training, great pay, ongoing job security and the opportunity for career advancement. 10295NAT Advanced Diploma of Performance Two years full-time In-depth study of acting technique, performance in a range of theatre and film genres, industry entry skills, devising, voiceover artistry, accents, stage combat, arts entrepreneurship and TV presenting. Learn more about the opportunities at CADA, plus watch their interview at the 2018 Canberra ACS Seminar below!